Go Green Drain is a new product that allows homeowners to remove clogs without dismantling the entire pipe. 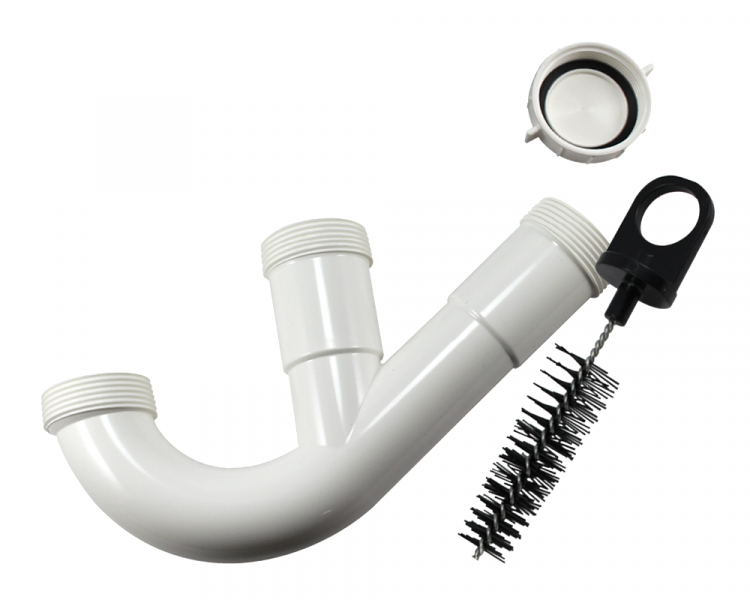 Designed to work with existing plumbing under bathroom sinks, the easy-access P-Trap features an unusual design as well as an integrated brush component. “The brush prevents small objects from moving further into the plumbing system, holding them stationary for easy removal,” the company says. Homeowners simply unscrew the cap and remove the brush to dislodge clogs and retrieve small objects or clogs without dismantling the entire pipe. Go Green, the company says, helps remove clogs easily, maintains a cleaner water system, and avoids costly plumbing bills. It also can be removed easily for maintenance. Go Green Drain will be available in multiple pipe sizes in the future, but it’s only available in a 1¼-inch size right now. The company says the drain may work with other size drains with a converter kit. The drain is available now at amazon.com. buenas tardes, quisiera mas informacion del producto.